The Apple Watch is undoubtedly one of the nicest and best fitness trackers that exists today. It’s capable of capturing all sorts of data from things like my heart rate and steps taken to how many calories I’ve burned. It does this with very little personal effort other than my opening up the Workout app when I’m about to hit the gym. Once I’m done with my workout, I come home, and all the relevant information from my latest session is synced to my iPhone via the Health app. I can open it up and see how many calories I’ve burned for the day, week, month, and even the year. What’s super cool is that I get both a macro and micro view of how active I’ve been. There’s only one problem right now: I don’t know how it’s quantitatively affecting my body. To remedy that, I’ve been using a smart scale at home for the last week or so, employing it in combination with my Apple Watch and Apple’s built-in Health app in iOS. The combination of these two devices plus the scale’s companion software has convinced me to some degree that Apple should consider making a smart scale of their own. With the scale I currently use, I can essentially measure what all my exercise activity means for me and my body, beyond just the physical benefits I feel. For some, that gauge is probably more than sufficient. But I’m more interested in specifics. With a smart scale, I can see if my weight is going up or down. I can see where my BMI level is — whether I’m getting leaner or packing on excess fat. Adding the scale essentially completes the equation. Apple Watch + Health app + Smart Scale = my overall basic health state. It’s amazing. Consider that Withings makes a smartwatch dubbed the Activité Pop that measures your movements and obviously syncs with their popular smart scale. Then you have Fitbit, who of course makes a variety of wearables and also happens to make their own smart scales. These are both big home health and fitness companies that both make devices that go on your wrist and make devices that tell you the result of that information. Why do they make this combo package? Because it makes sense. Of course, my issue with these scales is that they are all flawed in their own ways, especially when it comes to software (even though they sync with Apple’s HealthKit). It’s not that they’re bad or ineffective, but they’re just not great. That is, they don’t provide the more complete picture that they otherwise might if they were designed around Apple Watch instead of their own partner wearables. This is why I think Apple should consider making a smart scale. With it, Apple Watch users could enjoy a seamlessly connected software and hardware package in a way nobody else could. And should Apple do this, it could transform the way we go about our daily lives — from a fitness and body-maintenance perspective — even more than Apple Watch already does. Over the past two years, we’ve seen Apple talk about Health over and over again. The conversation started with the Health app on iPhone and then got amplified with the introduction of the Apple Watch. Both of these products do a great job of capturing information. The only problem is that I have to rely on third-party hardware to tell me what that information means. If Apple is all about providing an ecosystem of great hardware, software, and services, then making a scale that can give me an output of all sorts of body-related information seems like a logical move. Apple is all about helping its users stay fit. With Apple Watch’s heart rate sensor, calorie counter, and pedometer, Apple is encouraging us to always take that next step. 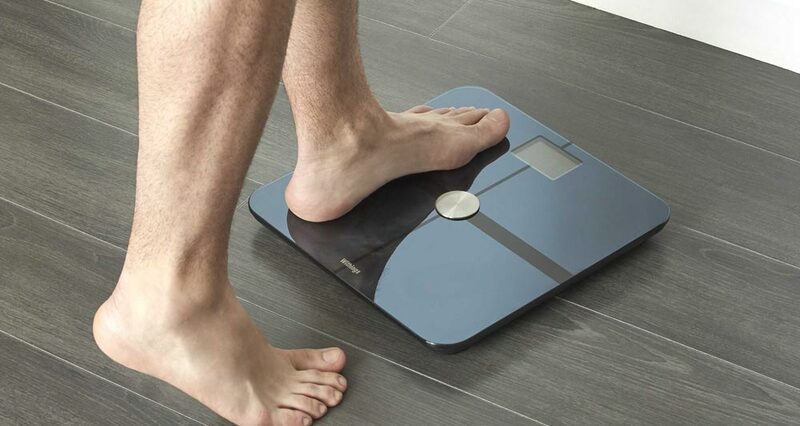 And a smart scale seems like a good one for them.